Today was my colleague Jon’s birthday! 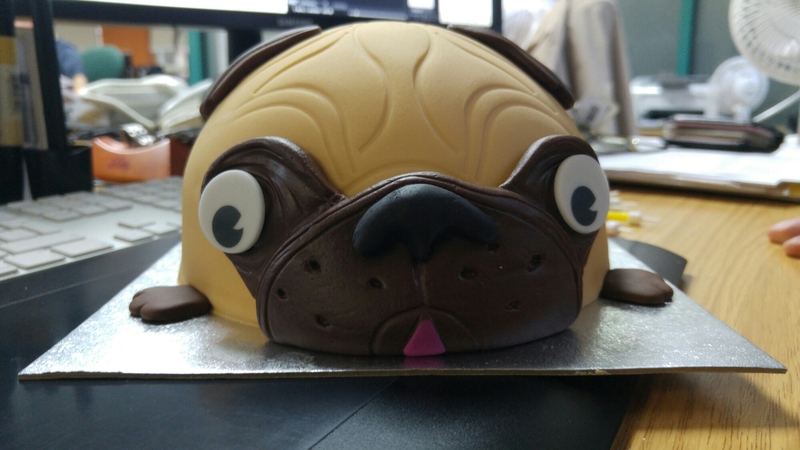 I managed to pickup this awesome pug cake for him (as he really wants a pug). Isn’t it totally adorable.. In a slightly bug eyed way.. It has been a long day today.. We have another Scottish workshop on Friday so I left work quite late tonight making sure we were on track for various deadlines. I’m nearly home though, if slightly soggy from the rain.. Ah well, today’s not all bad.. There was pug cake!